“I regularly say to R2 ‘Tell that son of a [expletive] to ***!’ And we have children, but one of them looks a lot like Chewbacca, and we use Yoda, who’s regenerated on a planet somewhere, for marital therapy. I urge Chewie to get waxed for sure!,” Fisher said. 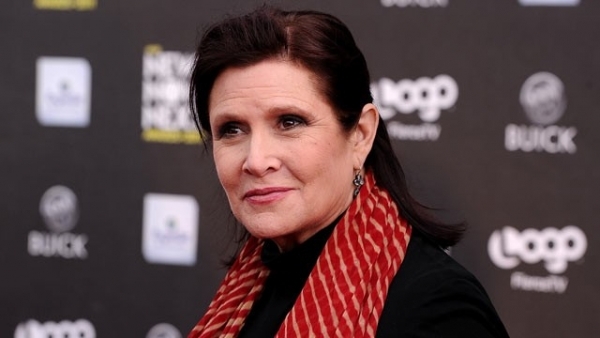 There is still no confirmation as to whether or not Carrie Fisher will return to the new saga according to The Latin Post, although there is a strong possibility she will. As to her ideas being used in the film, it is hardly likely writer Micheal Arndt will conform. Previous Previous post: Kingdom Hearts 3 With Star Wars and Marvel?